Scandi decor is all about creating a clean and fresh look. In keeping with this approach your palette will mainly include light colours although black and greys are not totally off-limits and are ideal for light pendants or tapware. Adding some non-neutral accents to a white base, can give a pop of colour for a brighter feel without taking away from the overall goal. Pastels feature heavily in Scandi design and work brilliantly against a white background. If you are after a more bold look, the ‘new Nordic’ embraces a striking palette, where accents of jewel tones (emerald and sapphire) and earthy hues like terracotta inject warmth and personality into the bathroom space. 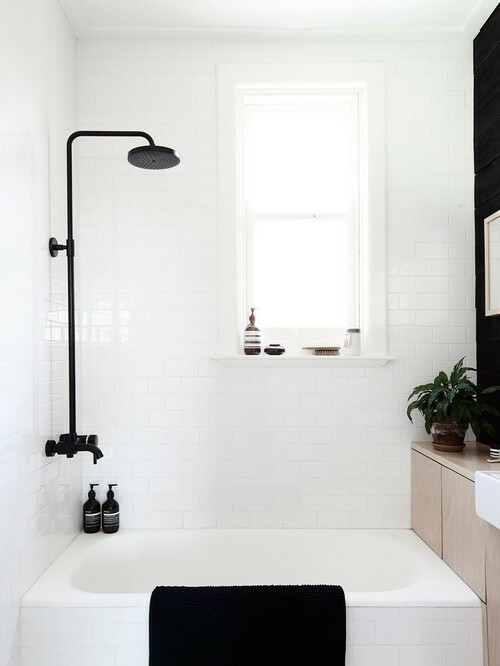 Scandi bathrooms are characterised by their light feel with clean lines to create a restful and sophisticated space. It’s the naturalness of Nordic design that diffuses a sense of wholeness and wellbeing making it the ideal decor for a bathroom retreat. One trend is to embrace storage options and fixtures to become focal points of the bathroom retreat. The shelf or cabinets become a work of art, or an angular lighting shade that becomes the standout. 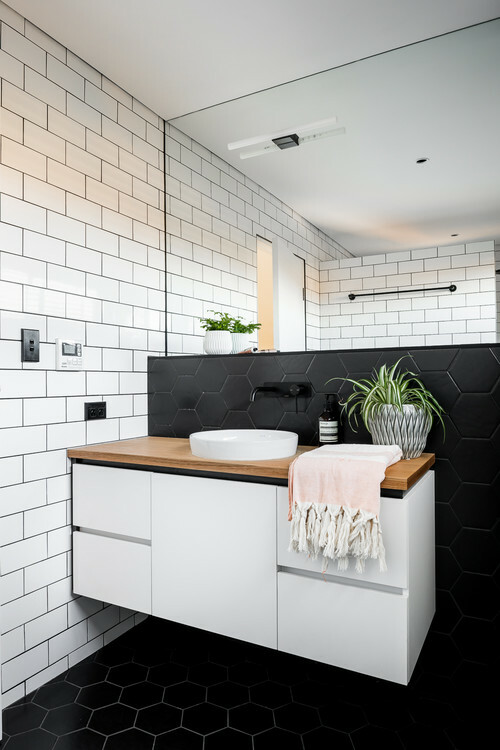 Style can be also be added through different shaped tiles- such as opting for a hexagon tiled shower wall or herringbone flooring - the keys are simplicity and harmony. Where minimalism meets functionality, the use of soft colours in Scandi design already lends itself to giving the illusion of space. 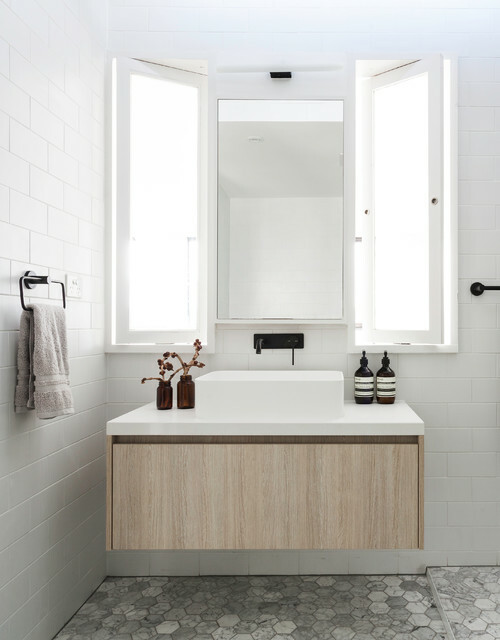 There are however design hacks that can help make a smaller bathroom seem more expansive. 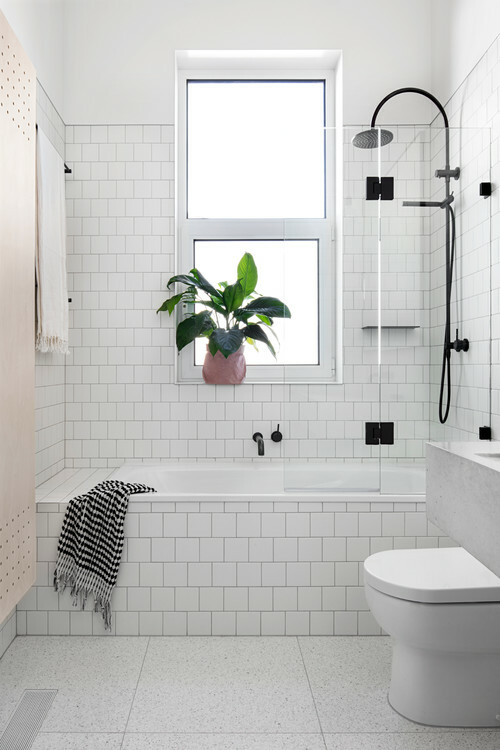 When curating your room, it’s essential that you choose items like baths, basins and mixers with the Scandi approach of ‘lagom’- not too little, not too much. Moderation is key, especially if you are trying to maximise space and declutter. It also helps to use reflective surfaces like glass and mirrors to amplify light. Replace shower curtains or frozen glass with clear glass and the vanity cabinet with a wall-mount sink. Expanding your lighting options through skylights also creates a more luminous room. If your space is monochromatic, introducing plants are a great way to break up the space and add some ‘life’. With a variety of styles and looks to choose from, greenery can be eye-catching or more subtle and it goes perfectly with sleek lines. Placed on a vanity unit, shelf or window- a succulent or potted plant will serve as a lovely contrast against the ceramics of a Scandi haven. Greenery fits completely with the cleansing and reflecting aspects of a retreat style bathroom, all it takes is a couple of plants to create a spa space that beckons you to unwind and rejuvenate after a long day at work. Nordic design tends to rely on a mix of layers and textures keeps a modern aesthetic but introduces an element of surprise. Natural materials such as marble and stone keeps it interesting and you can couple this with metallic tapware for a bit of a shimmer. There is nothing more Scandi than light timber and can be used for the vanity, flooring, furniture, feature wall and accessories. Solid timbers with a tight grain are ideal for bathroom spaces where they need to hold up against regular exposure to moisture. 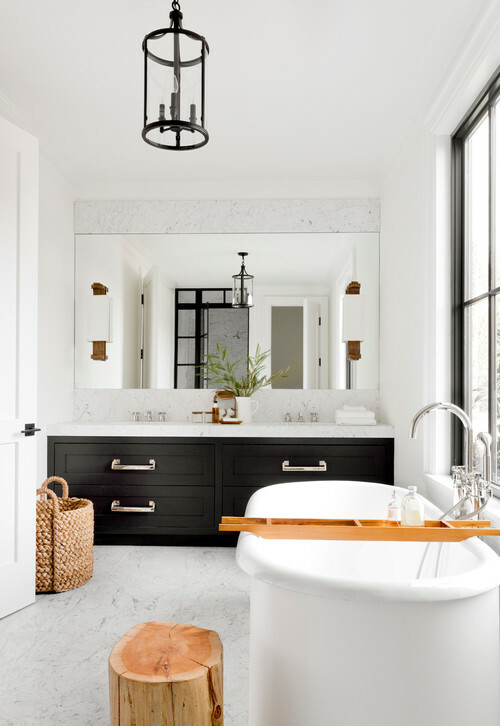 For the best results choose cedar and bamboo and always ensure that your bathroom retreat has plenty of ventilation through additional windows and exhaust fans. If you are interested in remodelling your home, Nu-Look would love to have a chat and workshop some floor plan ideas and renovation tips that will both make your home enjoyable and will significantly improve its resale value.